Mary Smith from Mississauga Ontario has been following Andrew’s Group Hug Apparel page and recently saw one of our fun posts that we shared with everyone. It was all about our “Bird House” project that we started about a month ago and we are having so much fun. This is one of our summer projects that we thought would be a great activity to do all while adding some beauty to our gardens. What do you think about the idea? It gets our entire family involved. Andrew picks out the bird houses and paint colours from our local Dollar Store and then we have a blast coming up with ways to paint them. We researched different ideas on line to get the artistic juices going and then we get painting. Dad always helps by hanging them on the fence for us. This is so we don’t drill our fingers to the fence or the bird houses, hmmm finger food for the birds doesn’t sound to appealing. 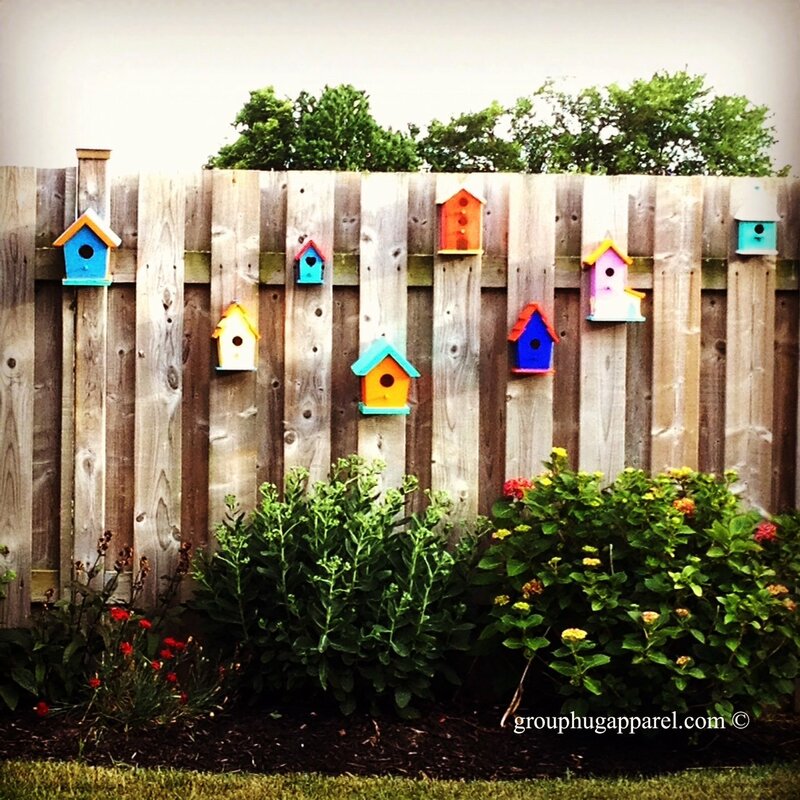 When Mary saw our post, she loved the idea so much that she mailed Andrew one of her own hand painted bird houses to include with our summer project. Andrew was so excited when he received it along with a beautiful card this past week. And we wanted to let Mary know that Andrew found a perfect spot for his gift. Thank you for your kindness and love, and we now have a beautiful friendship bird house garden started to go along with our “Bird House” wall. We love it! 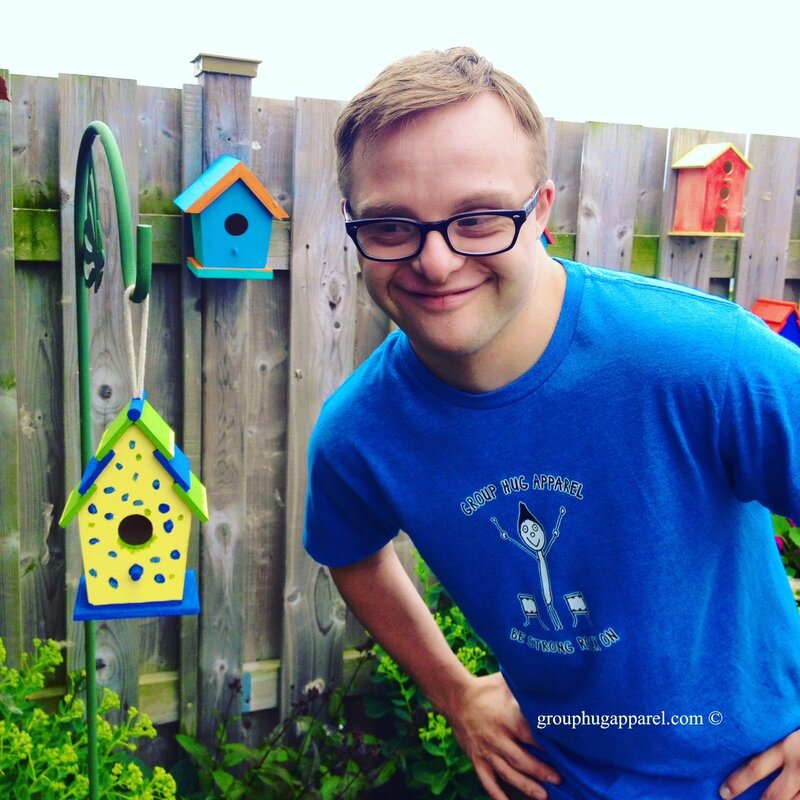 This entry was posted in Friends, Beautiful Places To Visit and tagged Andrew Banar, Bird Houses, Down syndrome, Mary Smilth, Summer Fun. Bookmark the permalink.